On Saturday, February 15, 2014, Detroit lost a valiant fighter. 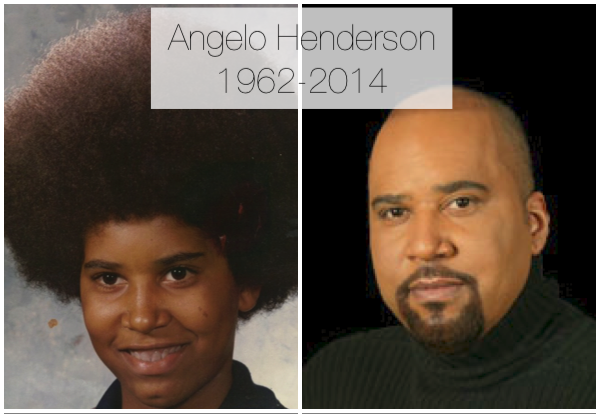 Angelo Henderson epitomized the spirit of selflessness. He fought every day on the radio giving his listeners “A Voice” to speak their concerns as well as their triumphs. He fought in the streets with Detroiters, young and old trying to improve the quality of life of everyone. Angelo was one of the first radio personalities to invite me onto his radio show. I went on his show and we instantly connected. We became friends after spending time on the air together. This time on the show gave me an opportunity to communicate directly to the citizens of Detroit; I could hear from them and they could hear from me. His show appropriately called, “Your Voice,” not only gave citizens a means to communicate; it also, gave me “a voice” to set the record straight, to highlight the great work of the Detroit Police Department and share valuable information to his listening audience. When he saw injustice, he talked about it on the air, but he did not simply talk as many do. Angelo got involved. He rolled up his sleeves, he rallied the troops and with an army of 300 he began helping to take back our streets. When I mentioned to Angelo I had started “A Call to Action” in Cincinnati with positive results and that I planned on starting one here, he did not hesitate to work with the Detroit Police Department to co-lead a successful Detroit Call to Action. Angelo left an indelible mark on Detroit and all who had the good fortune to spend any time with him. We must honor his legacy by continuing the work he started. There is truly enough work to go around. Don’t wait, jump in and find a cause you are passionate about and do it in the name of Angelo. I am in a unique position because my job gives me an opportunity every day to do what I am very passionate about and that is to “protect and serve” the people of this great city, the place I have always called home, Detroit. I will continue to fight to make Detroit safer for all who live, work, and visit Detroit. Angelo was more than a radio personality; he was a community activist, minister, a family man and truly a friend. Angelo had a big heart and he will be missed by many. My thoughts and prayers go out to the Henderson Family. Rest in peace, my friend. 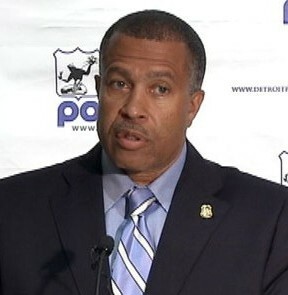 James Craig became Detroit’s police chief last year.